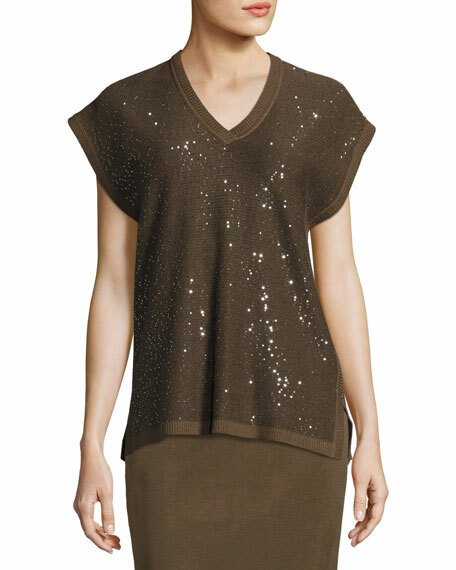 Misook Collection sequined knit tunic with ribbed trim. Approx. 19.5"L from shoulder to hem. 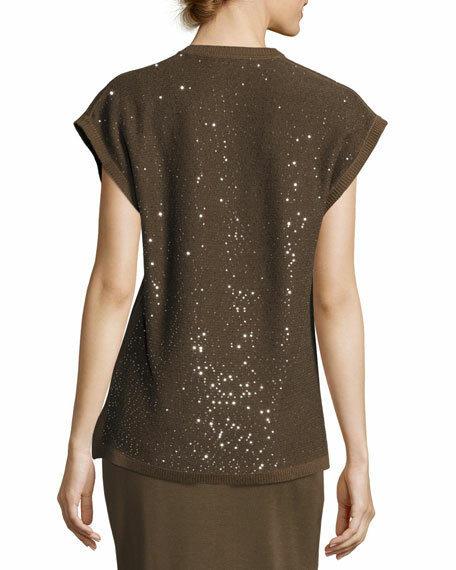 For in-store inquiries, use sku #2227879.